Joseph Pilates was a movement genius. His philosophies of health and exercise are captured so beautifully in "Return to Life through Contrology," which was written in 1934. Today, with our modern lifestyle, the impact of our environment on our bodies is quite different than in his time. 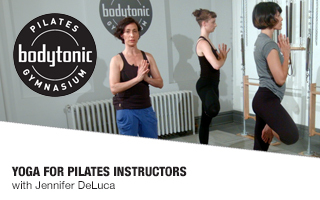 When teaching a group Pilates Mat Class this provides teachers with a great challenge. 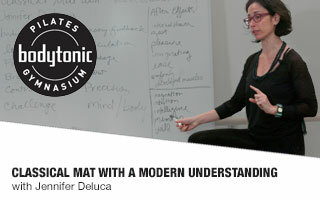 "How can we keep it Classical while also honoring the different levels in a class, keeping it safe, and maintaining the pace that is expected of a Pilates Mat Class?" In this workshop we take time to appreciate the sheer brilliance of Joe's philosophy and exercises, discuss the negative forces on our bodies today and pull it all together to keep it current, safe and Classical. 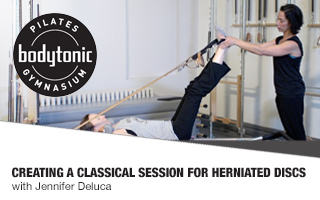 In this video, you will learn how to apply the Classical work to a client with a disc herniation. Shot primarily around a new client with a lumbar herniated disc, many of the concepts are adaptable to disc herniations in other areas of the spine.